The Toyota Camry has undergone an “exciting” makeover for 2018. Everyone thinking about buying a new car should know it. The D-word, or depreciation, is a big reason for not buying new – along with higher average prices and higher insurance rates – with the largest hit on a new vehicle occurring in the first year of ownership. We’re talking thousands of dollars here from an average around $33,560 on a new vehicle. But if you can get past all that, there are plenty of good reasons to buy a new vehicle instead of used, something that more than 17 million Americans did last year. That’s less than half the number of used cars sold overall but a few million more than used vehicle sales by franchised dealers. Greater reliability, although the reliability gap with used cars is closing, especially when they undergo rigorous certified pre-owned (CPO) program inspections. A manufacturer’s warranty on a factory-fresh vehicle provides the greatest peace of mind, although CPO vehicles now offer manufacturer-backed assurances, too. The latest safety equipment finding its way from high-end into mainstream models. The latest technology for audio, communication, entertainment and navigation systems. Potential incentives and rebates sometimes add up to thousands of dollars, which can take some of the sting out of the D-word if you’re determined to buy new. Attractive financing options such a zero or low annual percentage rates (APR) or longer terms. Knowing the vehicle’s maintenance history without having to rely on the previous owner’s record-keeping – or honesty, for that matter. Satisfaction that comes along with owning the latest model. Some of these reasons – reliability, safety equipment and technology – are especially true if you’re driving a vehicle anywhere near the U.S. average age of 11.6 years. But even if your vehicle isn’t that old, it may be time to start thinking about what’s next. 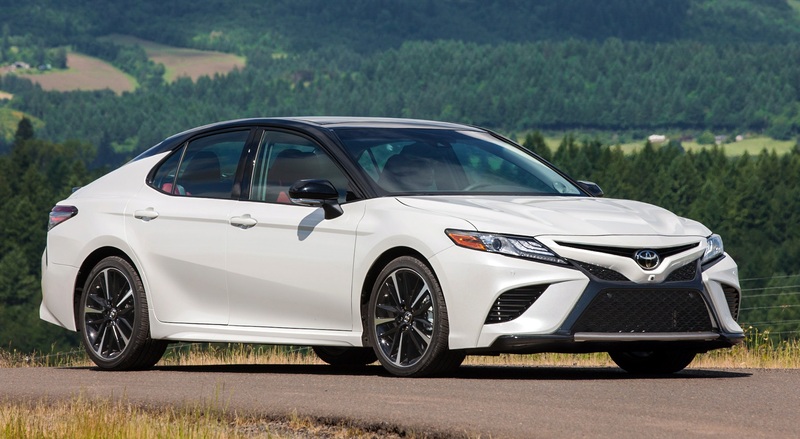 For example, the 2018 Toyota Camry, the best-selling car in America over the last 15 years, has undergone an “exciting” makeover that appeals to practical and emotional reasons for buying new. Sales hype aside, there’s little question the new Camry is a step or two ahead of, say, a 2012 model in most respects, but that also fits American new-car-buying habits. If you want to get a fresh start – that is, not have to worry about how the vehicle you purchased was used and maintained by a previous owner – and expect to keep your next vehicle for a long time, buying new may be the best option for squeezing the most value out of it. In which case, the D-word may not be the last word you consider on the subject.